Do you feel you’re stuck in a rut? Does your determination to build a website that’s beautiful seem to be getting you nowhere? You want it to exhibit state-of-the-art performance and engage visitors? It might be time to give the WordPress CMS platform a try. Or, if you’re already using WordPress, we know a solution to your problem. It will most likely depend on the WordPress theme you choose to work with. You may elect to focus on a premier multipurpose theme or a creative theme. Or, depending on your needs, on one or more specialty themes. Whichever you select should provide excellent performance. It will be easy to work with, require no coding, and offer top-notch support. That’s a lot to ask for, but every one of the themes we’ve selected meets the above criteria – in spades. Be Theme is big with 40 core features and 400+ pre-built websites, it’s fast because of its well-written code and optimized images, and it’s beautiful. You can see that for yourself. 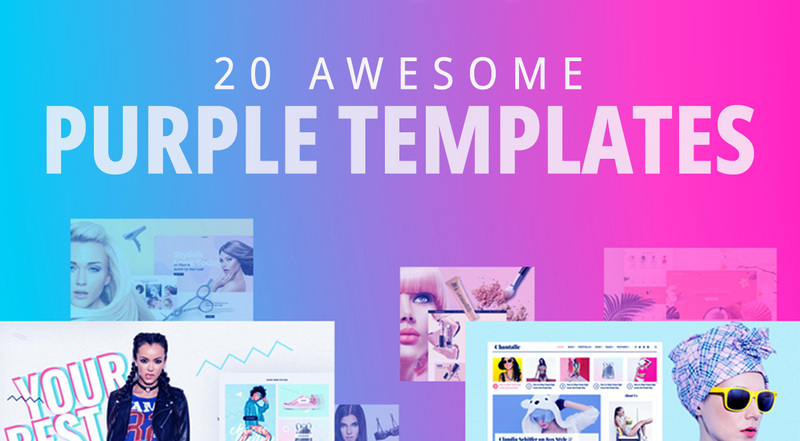 This ThemeForest best-seller is a joy to work with. It’s library of customizable pre-built websites covers more than 30 website types and industry and business sectors. Some websites are more complex than others, but if you have the content you need at your fingertips you can build a fairly complex website in as little as 4 hours. Be’s 40 core features include powerful page-building tools like the Muffin Builder, Admin Panel, Shortcode Generator, and Layout Generator. A new advanced Header Builder has recently been added, you’ll find a wealth of grid options and design elements to work with, and there are plenty of special effects to incorporate in your designs as well. The 400+ pre-built websites are worth a closer look. They meet current industry design standards and are up do date with the latest design trends and functionality with respect to the particular business sector they address. This #1 creative bestselling theme is considered by many to be the most popular creative WordPress theme ever. Bridge’s features include a huge array of flexible design options that allow you to customize any of its 375+ pre-made websites with just a few clicks. These pre-made websites make Bridge an ideal website-building solution for any and every business niche. Bridge is also fully equipped with page-building modules to create shops, blogs, listings, magazines, and much, much more. Can’t decide on a demo? Pick and choose features from 2 or more and combine them. The popular Visual Composer page builder and 3 other premium plugins are included in the package. If you encounter a problem, which is highly unlikely, or simply have a question, the 5-star rated support team stands ready to help. Maybe this would be a good time to join this premium theme’s 100,000 strong customer base. This versatile WordPress theme emphasizes site-building efficiency, creativity, and diversity. It is 30+ professionally-designed predefined homepages that makes it a multipurpose theme in the truest sense. You’ll never find such a capable them that can satisfy your every need for a wide range of business sectors and niches. Brook is blazing fast, an attribute which is not always found in multipurpose themes due to its massiveness. This responsiveness can be attributed to the clean code, which enables it to perform as smoothly and seamlessly as possible. 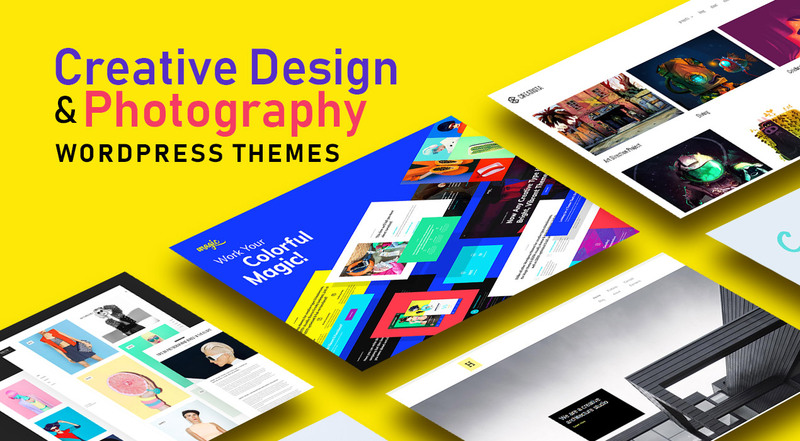 Moreover, this is a great theme for developing specialized websites that praise the taste and style of artists, photographers, design agencies, and other creatives. Homepages are constantly updated to add new business areas and to provide you with the best possible site-building experience. Packed in this theme, users can find a whole lot of awe-inspiring features such as premium plugins (WPBakery Page Builder, Slider Revolution, Font Awesome 5 Pro), infinite & one page scrolling, parallax effects, Retina HD sliders, mega menus, breadcrumbs, etc. The best way to get a feeling for all the web design possibilities Uncode offers is to visit their web designers’ showcase to see what others have been able to accomplish. You’re guaranteed to find the visit inspiring, especially since with this WordPress theme you can do the same in a few short hours. Uncode is user-friendly, it features all the functionality you’re ever likely to need, and it’s fully integrated with WooCommerce. Kalium definitely is one of the best themes in that is built for WordPress platform. Kalium’s impressive array of theme options, layout designs, and drag and drop design elements provide everything needed to showcase your work as you’ve always wanted to do. This WordPress theme’s package includes a set of premium plugins, premium fonts, and full content design demos. Since these demos are periodically updated you can always count on Kalium being up to date with the latest web design trends and standards as well as with WordPress itself. Here’s a chance to own the most beautiful theme on the market. At least that’s what TheGem’s reviewers and ThemeForest users say about this multipurpose WordPress theme. Because of its flexibility and the diversity of its designs, another description of TheGem could be a “complete WordPress toolbox”. TheGem is a modern, responsive theme that can be used by pros and beginners alike for businesses, online shops, blogs and more. Real Homes has been used by more than 17,500 purchasers, a significant percentage of which have given this specialty WordPress theme a 4.66/5-star rating. Designed for use in the real estate sector, Real Homes provides flexible property listings and customizable property search. Realtors and their customers love a couple of other Real Home’s features, major payment gateway options and frontend property submission capabilities. It only makes sense that if you want to build innovative and elegant websites, the best way to do so would be to use a theme having the same characteristics. That pretty much describes Grenada with its super-fast Ajax page loading and its creative sliders and video background support among other cool features. This creative WordPress theme is fully compatible with WordPress 5.0 and with its Gutenberg editor as well. Houzez is a prime example why a typical multipurpose theme won’t work for the real estate sector, nor will a cookie-cutter approach to a real estate agency’s design for a website. This specialty WordPress theme features the unique functionalities a realtor requires including advanced search and listing properties and a unique property management system. Better yet, Houzez can be customized to exactly fit a realtor’s sometimes unique business model. With Avada there are no limitations or strings attached to creating the design style you envision. This #1 best-selling WordPress theme (for 5 years running) provides you with a library of professionally-designed demos, a responsive framework, plenty of tools to work with and plenty of design options. Avada, one the most highly trusted themes on the market, the support it provides is excellent, and you can put your coding manual away, you won’t ever need it. Your World It’s amazing what a little movement, real or imagined, can do for a website. MOVEDO took the concept of motion and ran with it. This best-selling WordPress theme’s authors seem to delight in creating unique animations, mind-boggling ultra-dynamic parallax effects, and other cutting-edge designs for web designers to use and enjoy working with. Now would be as good a time as any to try MOVEDO out and add a few dynamics to your websites. You build a beautiful website, but as far as the search engines are concerned, it’s a dud. SEO is a critical website attribute that all web designers are aware of but are often challenged as to how best to address it. Schema guides search engines through your site one content element at a time. It is great with page load times, Google algorithm friendliness and more to ensure you’ve created a quality UX and will enjoy search engine success. Whether your focus is on portfolio design, eCommerce design, blog design or all three, Pofo is an excellent choice. This modern, fully responsive, fast loading and SEO optimised creative design theme is ideal for creatives and creative agencies of all types and for businesses and bloggers as well. You’ll be provided with an impressive library of home and one-click demo pages along with 150+ pre-built design elements to work with. How many multipurpose WordPress themes are you aware of that enable you to create and manage a successful forum? The answer must be zero, or quite close to it. Powered by the bbPress plugin, the ForumPress WordPress theme’s focus is on forum design and functionality. Setting up a forum is amazingly quick and easy, after which you can customize it to your community’s needs and interests and to your brand as well. If your online business can’t provide customer support when you’re out of the office you might have considered implementing a problem ticket management system, or a “we’ll get back to you” email approach. Either way, you’re still stuck with problem tickets and the unhappy customers you assigned them to. KnowAll provides a better solution. It answers questions customers are most likely to ask, and it offers suggestions to those who aren’t sure what to ask for. Fewer problem tickets, happier customers. Selecting a premium WordPress theme shouldn’t be a problem, but since there are so many of them it can be. Our selection was designed to make it easy for you to find a perfect match for your web design needs. 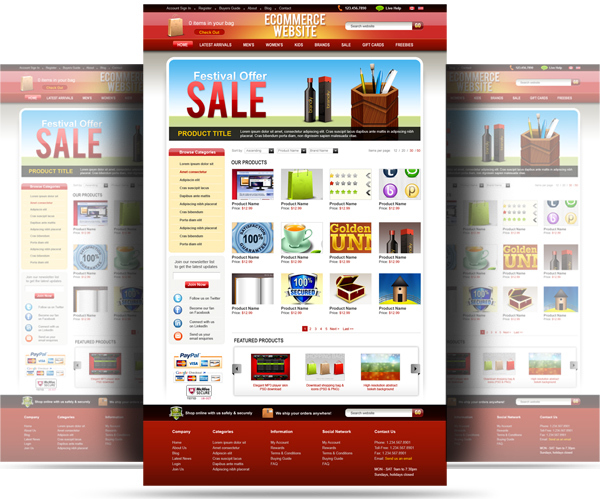 You can be in the market for a premium multipurpose theme, or a creative theme. or, even for a specialized WordPress theme. Anyway, you can’t make a bad choice.